What's The Cheapest Property To Buy In London? Rachel Holdsworth What's The Cheapest Property To Buy In London? Just after Christmas a news story appeared about what was billed as London's cheapest flat: a studio on the market at £75,000 in Clapton. For that, the 'lucky' buyer got 39.7m2 — that's about four metres by 10 metres; we'll wait here while you pace it out, don't worry — and, although this property has apparently disappeared from the web, it did make us wonder what London's other 'cheap' properties are. Once you wade through all the parking garages for sale (we found one in Islington for £125,000, got depressed and stopped looking), minicab offices, shared ownership flats and retirement-only properties, London's cheapest property option is... a houseboat. The cheapest home available to buy outright in London at the moment is the Carpe Diem, a 40ft houseboat moored in Brentford, on at £60,000. 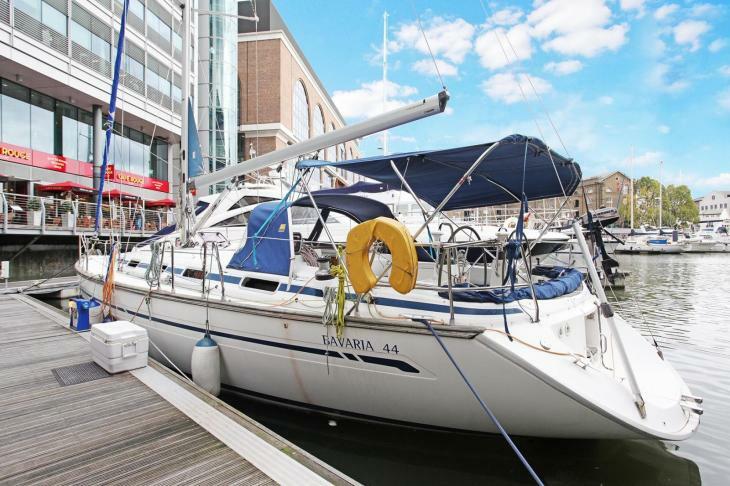 If you fancy a fancier address, the Bavaria 44 is moored at St Katharine Docks and for sale at £75,000 — the same price as that Clapton flat, but with around three extra square metres of space. Bear in mind that you'll need to shell out about £10k a year to stay in the marina, though. 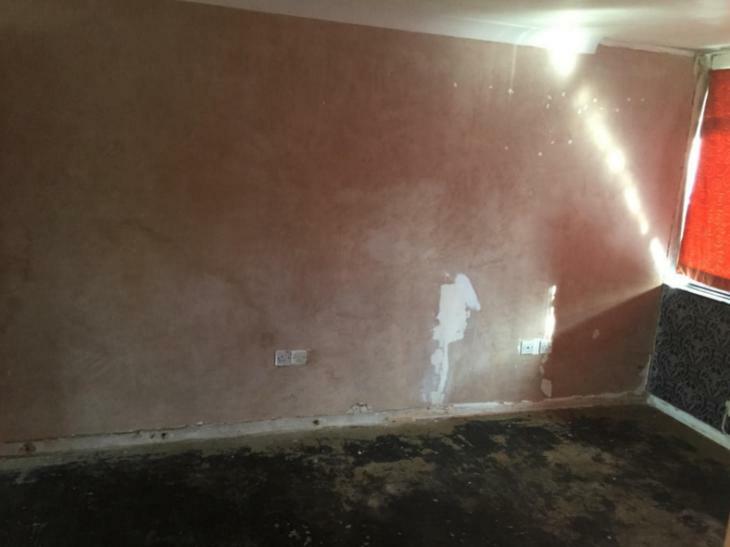 "Only minor repairs needed" to this flat in West Ham. A flat above a nursery in West Ham is on the market for £95,000, but an offer's been made at £101,000 — and either the current owner or agent is hoping for more, actively encouraging the heinous practice of gazumping ("Any persons wishing to increase on this offer should notify the agents of their best offer prior to exchange of contracts"). Plus there's only 53 years left on the lease. Elsewhere, there are two studio flats in Harringay which should have been sold at auction in October with a guide price of £100,000 each. Either the agent has forgotten to remove the listings or these flats — where the description encourages potential landlords to raise the rent by between £3,400 and £2,600 a year — are available again for any canny investor. No square footage is given. Way in to the Ilford flat. 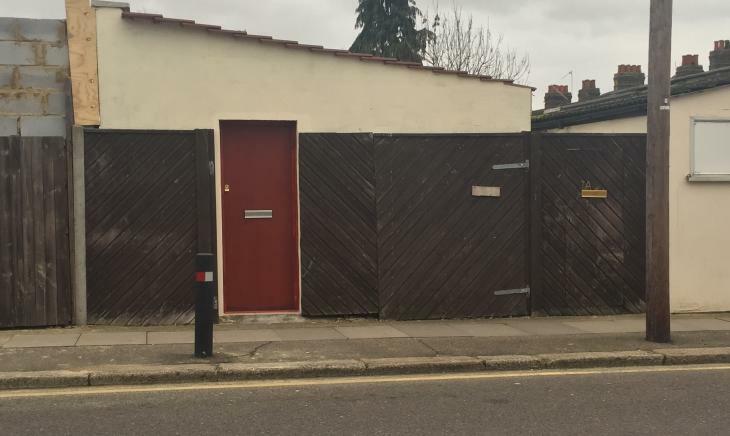 Here's a listing that didn't initially look like it had anything commentworthy about it, apart from it being a studio in Ilford asking £100,000 for a room 3.77m x 3.92m. Then we took a look at the shot of the exterior, which looks a bit like it's been converted from garages. We've tried to pinpoint the location on Street View, but unless it's lurking behind a couple of off licences we can't find it.